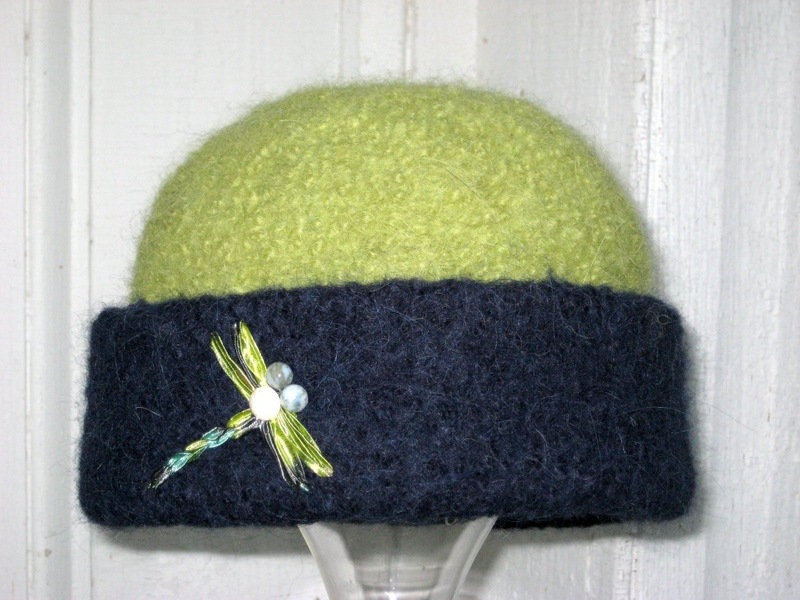 …and accidentally fell in love with this green/navy dragonfly hat when trying them on… So I treated myself and bought Pam her stunning pink-on-pink hat. We now are both stylish AND very warm! 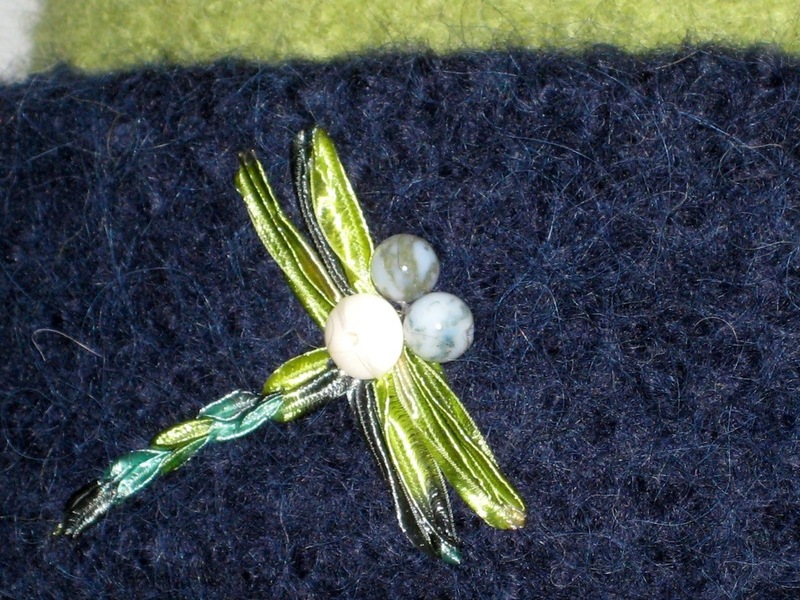 Freehand dragonfly embroidery with agate bead eyes. 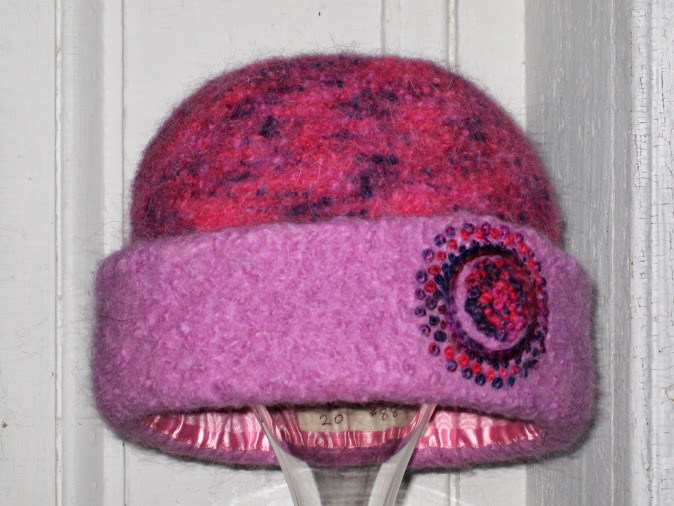 During this bitter winter, my dragonfly hat has kept me warm through many hockey practices at the rink, and has garnered many compliments around town. 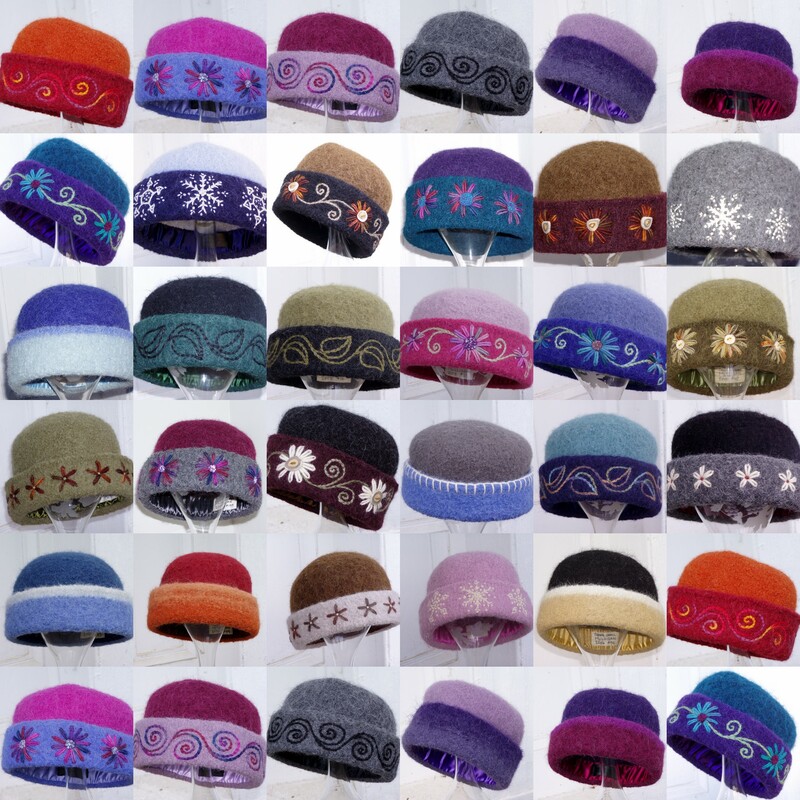 I always looked awful in winter hats, and was amazed to see how stylish Carrie’s hats are. They are unique, and can be worn on a run or with dress clothes. I even wore mine into to a job interview with a suit (and got the job)!! 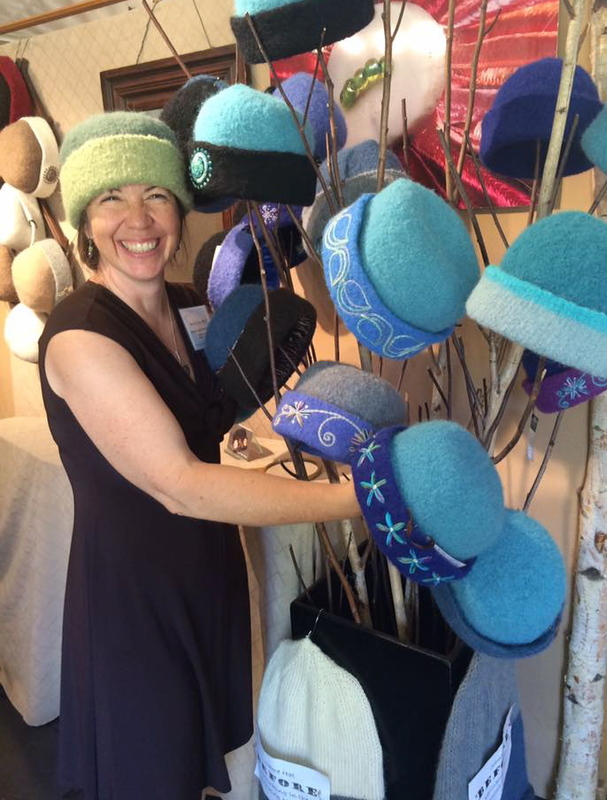 I recommend Carrie’s heirloom hats even to people on a budget; think of what we spend on groceries or oil, but this is something you invest in for yourself. I bought mine with Christmas gift money, and it has been my favorite gift. 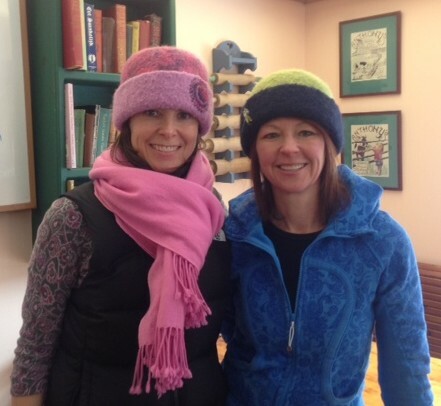 Pam & Robyn sporting their new felt hats.